Flowery Branch High School is located about 45 miles northeast of Atlanta, Georgia in the suburbs of Hall County. The population of Hall County is approximately 180,000. While the county has experienced a 29% growth rate over the past ten years, Flowery Branch has had a 44.58% growth rate over this same time. Flowery Branch’s proximity to Atlanta has fueled this growth. In addition, Lake Lanier, the largest man-made lake in the vicinity of a metropolitan area in the United States, borders the city of Flowery Branch. It is a huge source of recreation as well as employment. Flowery Branch is also the home of the Atlanta Falcons Training Camp, a $20M facility. It hosts several major businesses: Wrigley’s, Kubota, SKF, Zua, and Crystal Springs. An additional forty small businesses and companies have international roots. However, after exhaustive research, it has been determined that there currently is no formal entity at the secondary level – private or public – that prepares our students for the internationally close-knit world they will be thrust into after high school graduation. While we have many domestic companies and a few international companies in Hall County, there is ample room for further growth into the international arena. The original Flowery Branch High School burned down in 1943; however, a vision from the former school still lives today. In The History of Flowery Branch, GA, Elizabeth Lott stated that Flowery Branch sought to “prepare people to go out into other places of the world and give of their talents” (40). Students at that time joined neighboring schools to finish their education. Not until many years later did growth in the area prompt the building of a new high school—the name chosen was Flowery Branch High School. The school opened on Hog Mountain Road in Flowery Branch, GA to relieve overcrowding at neighboring Johnson and West Hall High Schools. At the same time, Chestatee High School was built using the exact blueprint in northern Hall County to relieve overcrowding there as well. Since then, this area on the southern end of Hall County has experienced rapid growth. Thus, an even newer facility was built in 2009 on Spout Springs Road. The former facility is now C. W. Davis Middle School which is one of our feeder middle schools. Flowery Branch High School is one of seven high schools in the Hall County School System and serves approximately 1,600 students. 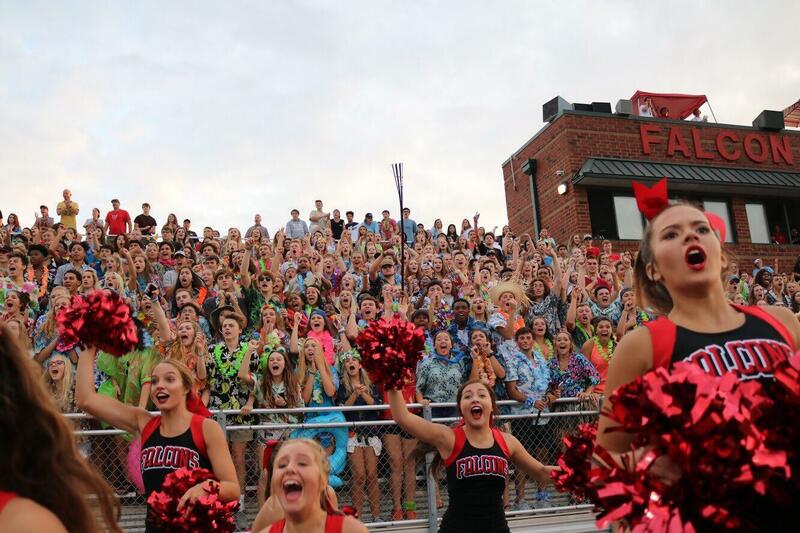 Students of Flowery Branch High School come from a wide variety of diverse backgrounds with a community that is very supportive and involved in the school system. In 2006, Flowery Branch High School earned the “School of Excellence” award for its commitment to rigor and high standards from its students.